This is a rectangular flange Rosehill Laundry porcelain sign. This particular Rosehill Laundry sign is blue with white text. 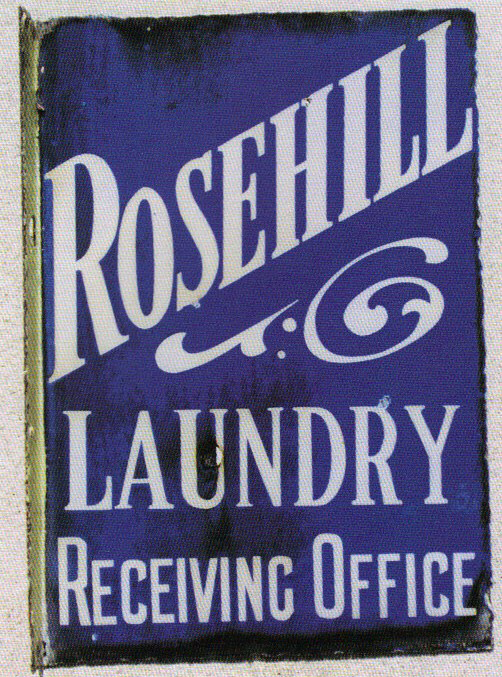 It reads, “Rosehill Laundry Receiving Office”.